Looking for guidance about the path you're on? Feeling like you need some insights? Visit http://withangela.com and click on "Schedule Your Reading"! 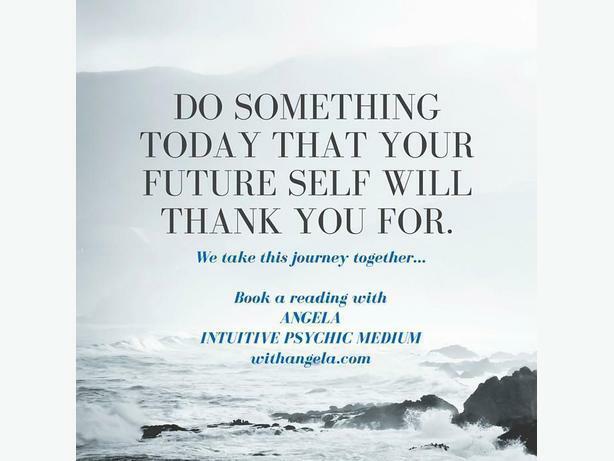 Angela is natural clairvoyant psychic intuitive medium, as well as a Reiki master practitioner and medical intuitive. Angela is also an active volunteer member with the FindME group.org out of Arizona - a non-profit organization assisting law enforcement and families with missing persons and homicide victims. Angela lives in Victoria, British Columbia with her husband and three cats, offering psychic intuitive readings, reiki classes, and more. Coming to Victoria? Come visit in person! I found Angela's website while looking for something else. Without being sure why, I felt compelled to call the number. When I did, I knew before she finished explaining what she does, that I wanted to have a reading. This lady is legitimately "tapped-in".